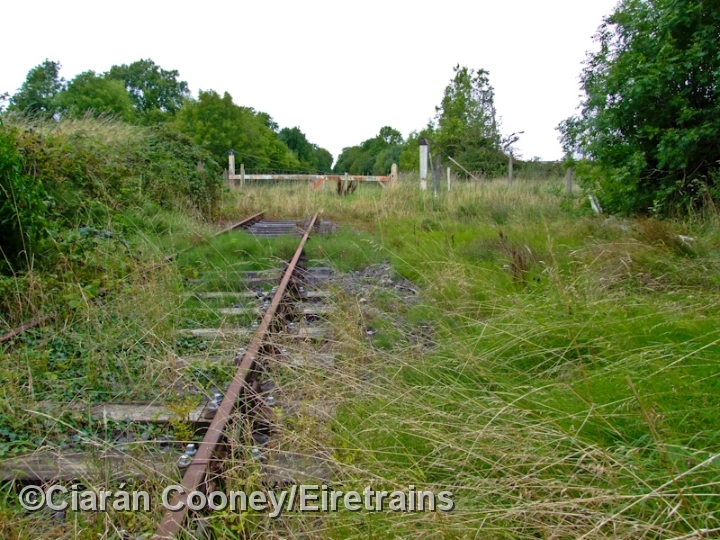 The station at Gibbstown, Co.Meath, on the disused line to Kingscourt was located some distance east of the village it was supposed to have served on the R163 road. 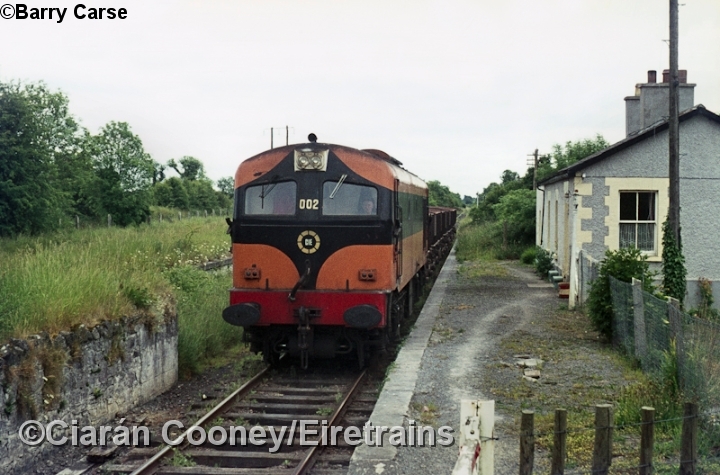 Gibbstown Station opened in 1872 on an independent railway which ran between Navan and Kingscourt, latterly taken over by the Midland Great Western Railway who operated trains between Clonsilla through to Navan and Kingscourt. 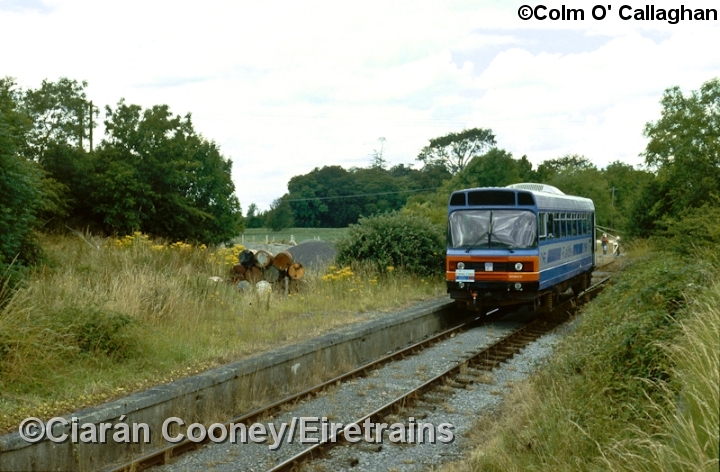 CIE withdrew passenger services over the line in 1947, but the section between Navan and Kingscourt was retained for goods, latterly for gypsum traffic until 2001 when these trains also ceased. Gibbstown only had one platform upon which was sited the now demolished single storey station building, as well as the wooden waiting shelter (possibly survives beneath the undergrowth). On the up side was a goods loop serving a goods platform and small stone built goods shed. 3 This is what the former station at Gibbstown looks today, now totally overgrown with little evidence of the platform and station building. This view is looking south towards Navan. 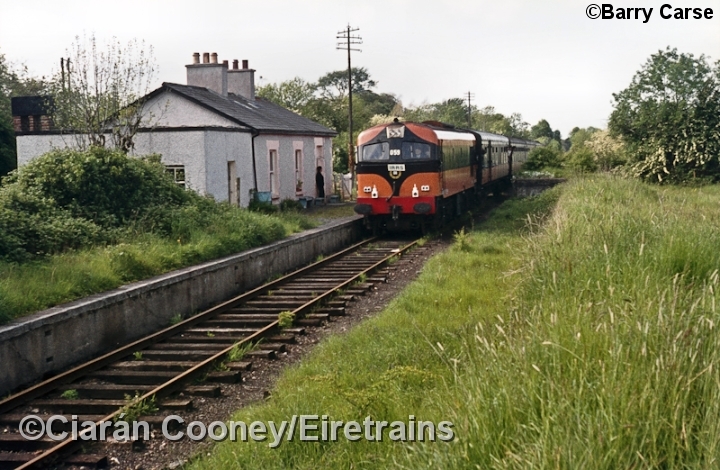 6 A view looking north towards Kingscourt at the former Gibbstown Station, with the level crossing on the R163 road in view. 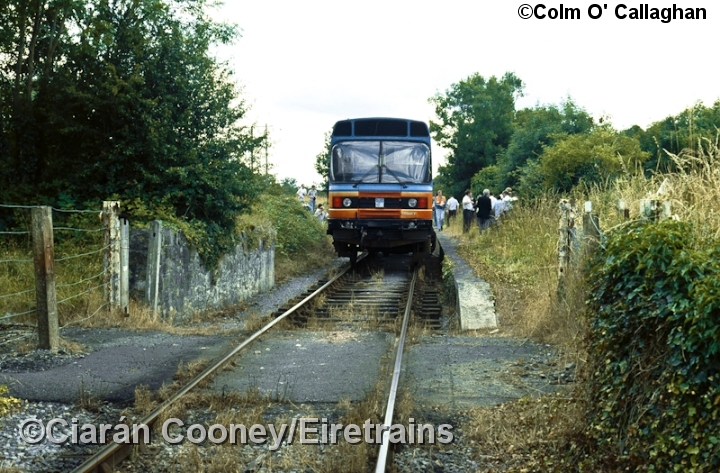 The line to Kingscourt has been disused since 2002. 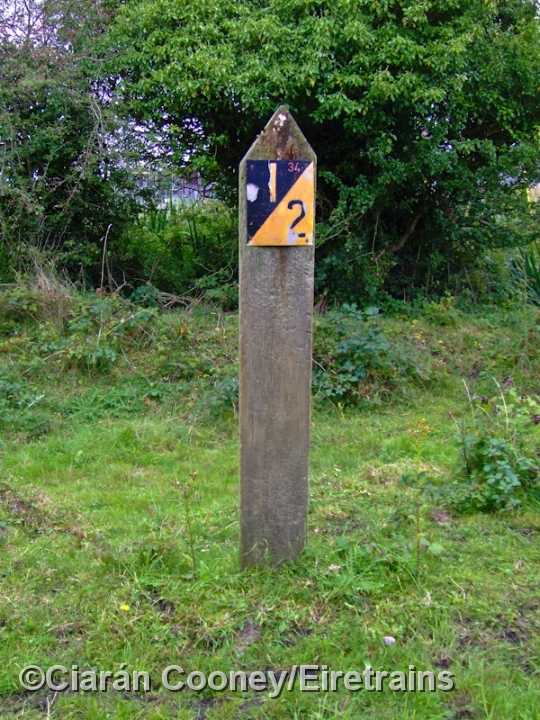 7 A milepost located on the up side of the line at Gibbstown Station, reading 34½ miles from the former Midland Great Western Railway terminus at Broadstone in Dublin. 8 The northern side of the level crossing at Gibbstown, with the former station beyond. 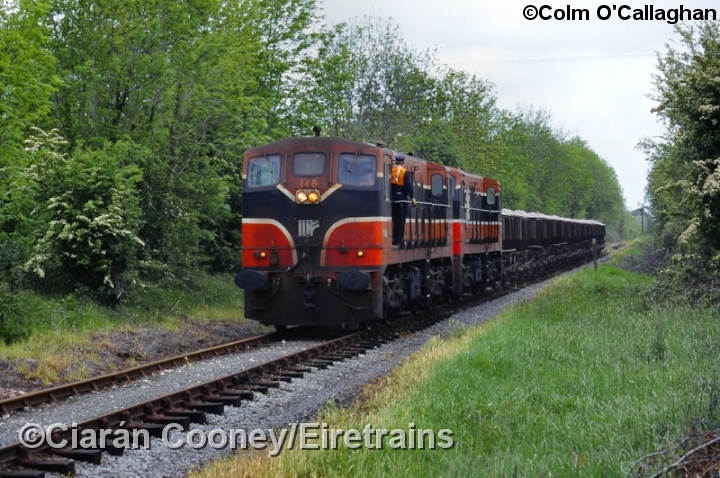 All the crossings on the Kingscourt branch were operated by the train crew. 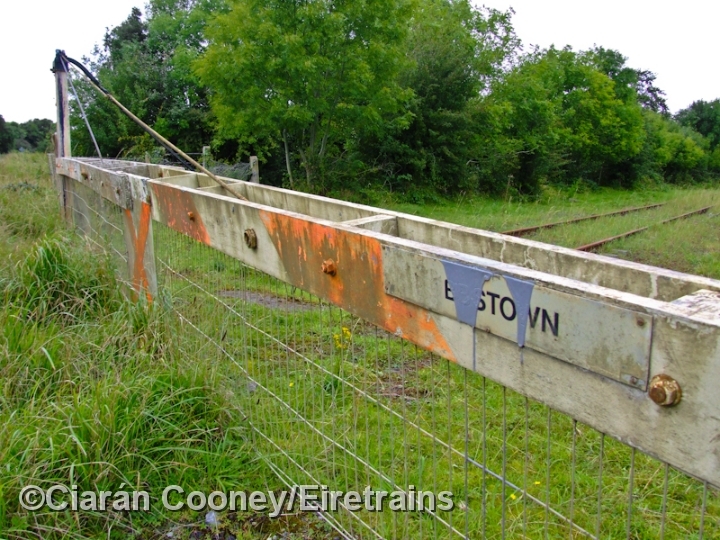 9 Close up of the wide wooden crossing at Gibbstown. 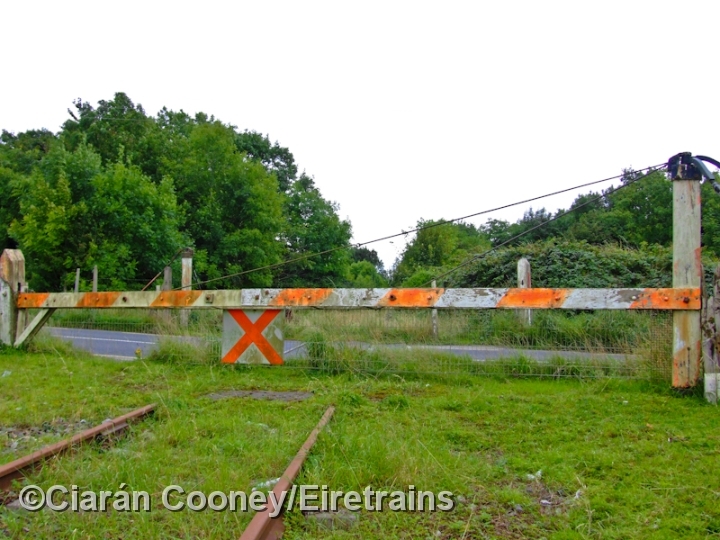 Most of the crossing gates on the Kingscourt branch have been removed, except this one at Gibbstown. 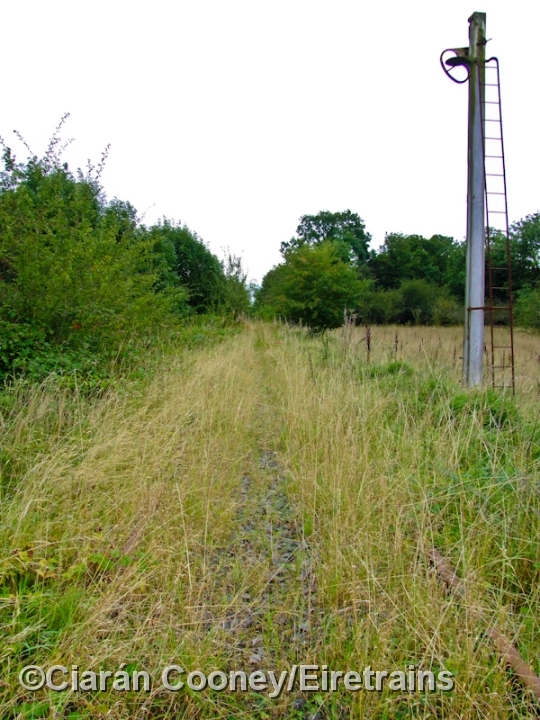 11 A view of the northern approach to Gibbstown Station, showing the grass and shrubs which have grown onto the track. 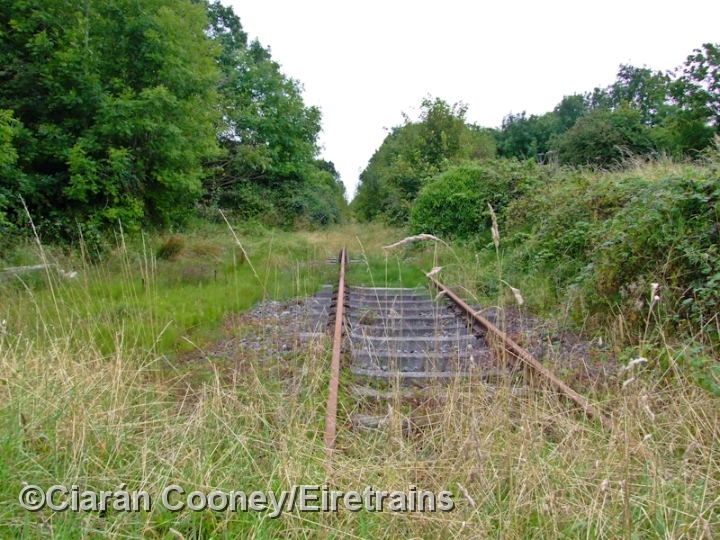 12 This is the southern approach to Gibbstown Station, showing the overgrown state of the disused line to Kingscourt. A MGWR signal with no arms still stands by the line. 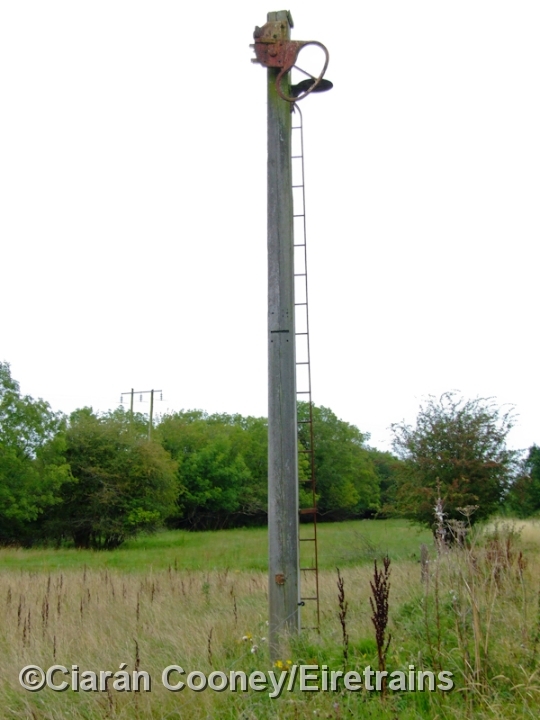 13 This Midland Great Western signal post, with missing arm, still stands on the southern approach to Gibbstown. 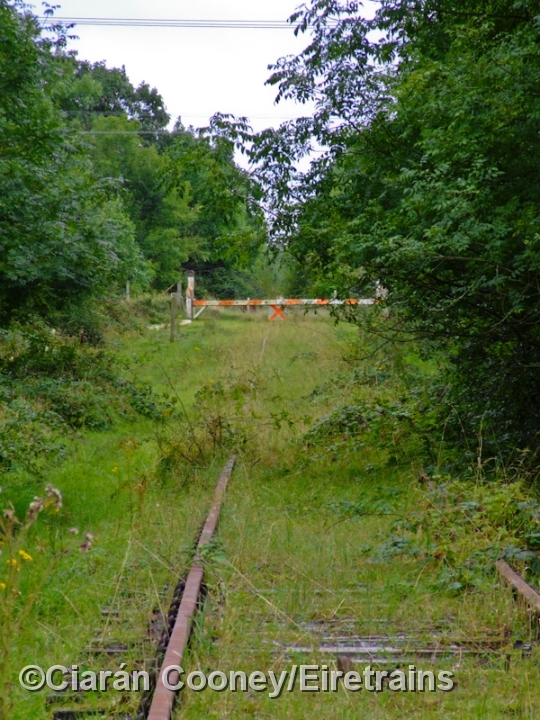 Until recently the signal's arm was of a 'distant' type warning of the level crossing adjacent to the former station.